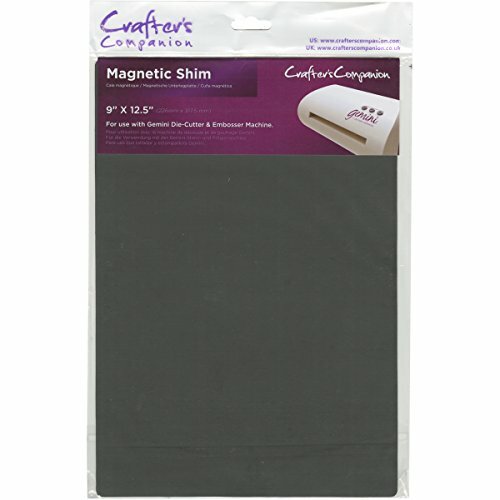 Gemini magnetic shim 9X12. 5. This product is manufactured in China. Product belongs to arts, crafts and sewing. 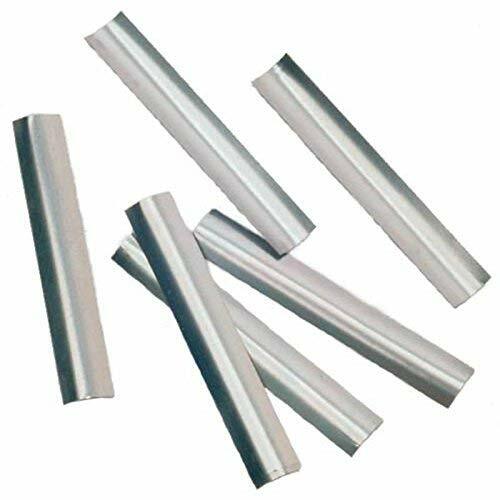 The 300 series stainless steel shim stock with full hard temper has an unpolished (mill) surface and a standard tolerance, and meets American Society for Testing and Materials International ASTM A666 specifications. 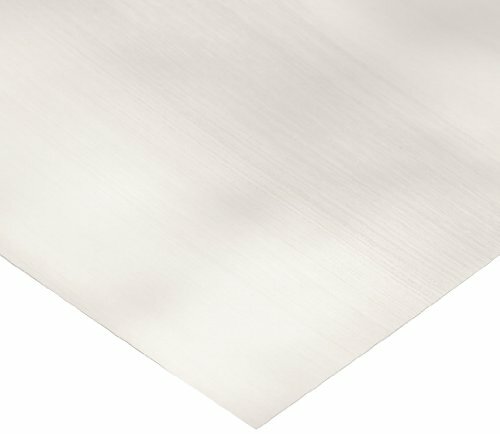 The 300 series stainless steel grade provides good resistance to corrosion and high temperatures. It may be slightly magnetic. The full hard temper is harder and has a higher yield strength than 3/4 hard temper to better resist deformation. 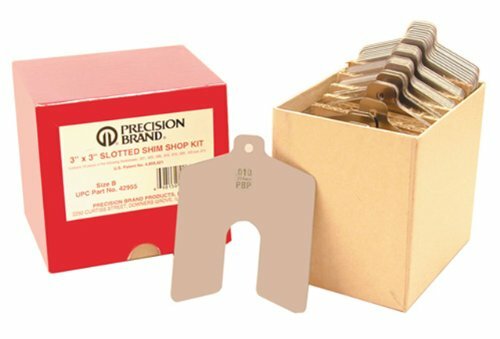 Precision Brand Color Coded Shim is used for gaskets, special parts, and various manufacturing applications. Assortment contains 1 of each thickness: 0.0005", 0.001", 0.0015", 0.002", 0.003", 0.004", 0.005", 0.0075", 0.010", 0.0125", 0.015", 0.020", 0.025", and 0.030"
FastCap Mag Shims are the easiest way to set your blade height and fence spacing on your table saw. 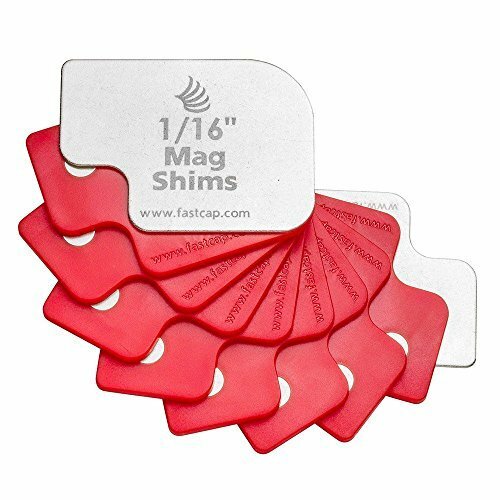 Simply stick the magnetic shims together to get a perfect setup in seconds! Mag Shims are also great for setting depth on drill presses. 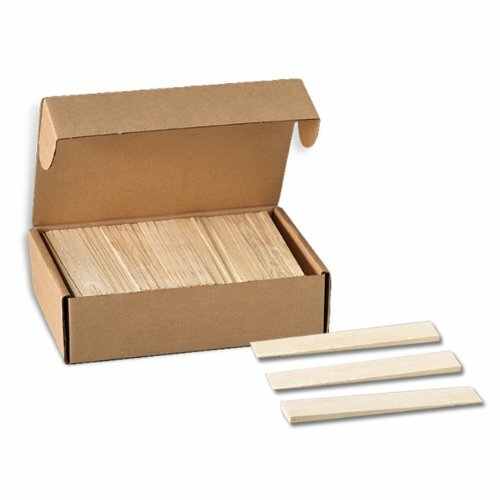 6" by 12" assortment contains 1 each of the following thicknesses: 0.001", 0.0015", 0.002", 0.003", 0.004", 0.005", 0.006", 0.007", 0.008", 0.010", 0.012", 0.015", 0.020", 0.025", and 0.031"
1 x 1-1/2 x 1/4, weather proof. Level and stabilize tables, toilets, bookshelves, entertainment centers, etc. 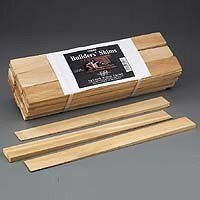 Tougher than wood shims. Nail 'em, chisel 'em, hammer 'em. Stack 'em to fill any gap! 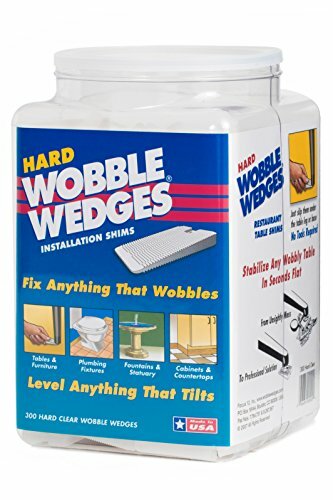 Brand: WOBBLE WEDGES | Manufacturer: Focus 12 Inc.
Warranty: Used under manufacturers guidelines, product is under warranty for 12 months from date of purchase. 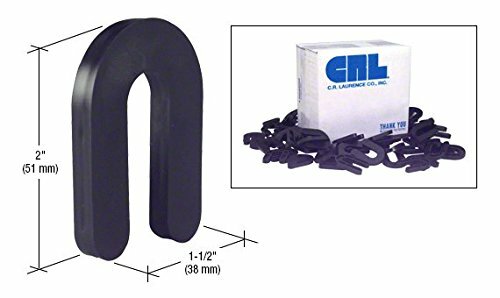 Lab LSM0V25 .0015 thick stainless steel lock shims. 1 1/2" long. 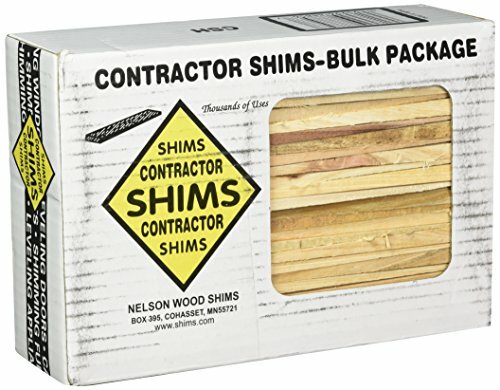 Pack of 25 shim stock. 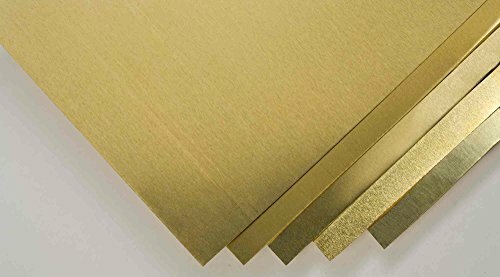 Assortment of 6" wide by 12" long sheets contains 1 each of the following thicknesses: 0.001", 0.0015", 0.002", 0.003", 0.004", 0.005", 0.006", 0.007", 0.008", 0.010", 0.012", and 0.015"
Precision Brand Slotted Shim is the best way to solve alignment and leveling problems on motors, pumps, generators, and other plant machinery. 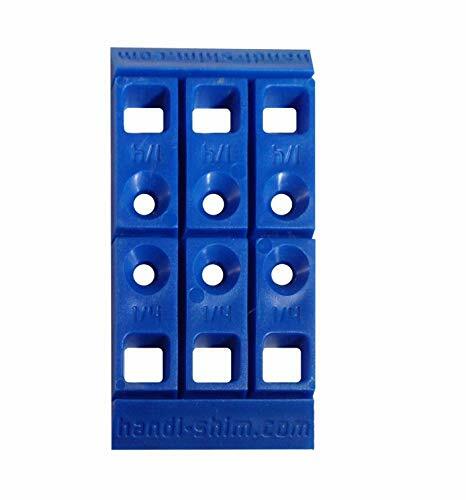 Slotted shims are economical, safe, and accurate. Reduce labor costs by eliminating hand cutting and reduce downtime by eliminating shim preparation. 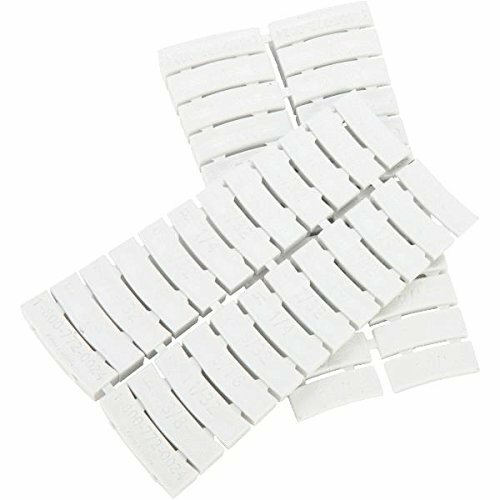 Assortment contains 10 each of the following thicknesses: 0.001", 0.003", 0.005", 0.010", 0.015", 0.020", 0.025", and 0.075"
Offered in a handy 4-count package, bath fixture shims are specifically designed for fixture leveling, tile protection, and support. Innovatively made, the unique radius saddle locks the shim into place. 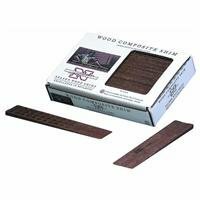 Easy to use, simply lift up on the exposed portion and the shim will part off cleanly no tools required. Extremely versatile, the saddle segments increase in thickness in 1/32 increments. Brand: EZ-SHIM | Manufacturer: EZ-SHIM, INC. 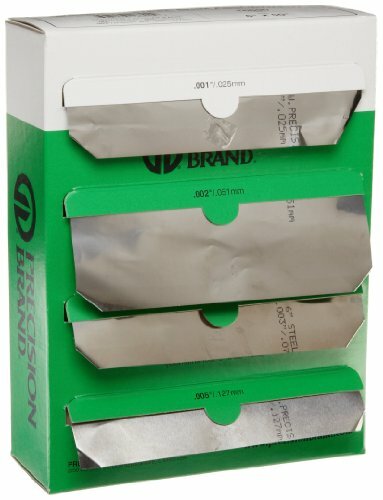 Assortment of 6" wide by 50" long rolls contains 1 each of the following thicknesses: 0.001", 0.002", 0.003", and 0.005"